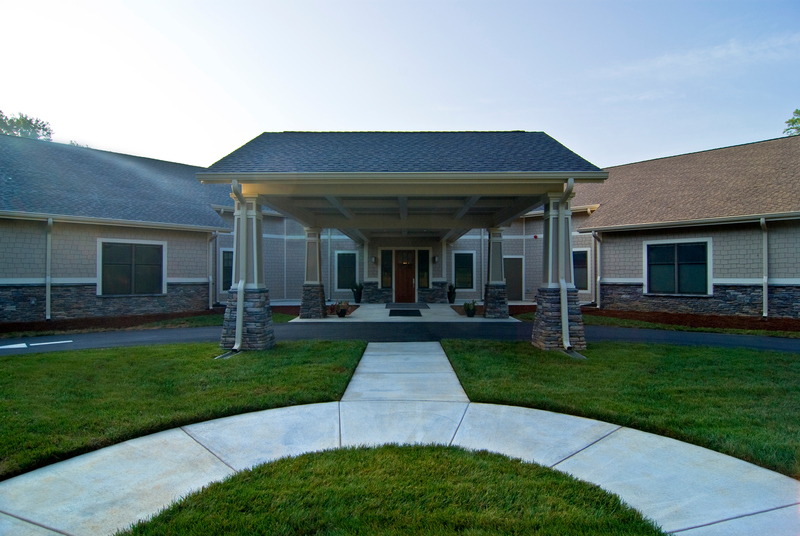 The approximately 11,000 SF Cottage is divided into four identical, secured suites for six patients each. Each unit is set up so it can be operated as a standalone or as part of one of the other units in the building. 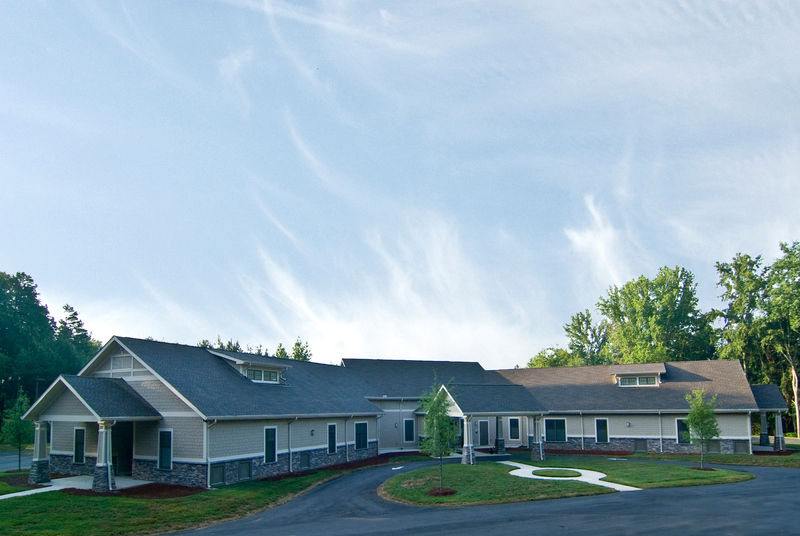 The facility is for severely disturbed children who have suffered serious abuse or trauma. It is intended to house them in a protected (and protective) environment 24 hours a day as they are counseled, educated and brought back to the point of being able to function in society. 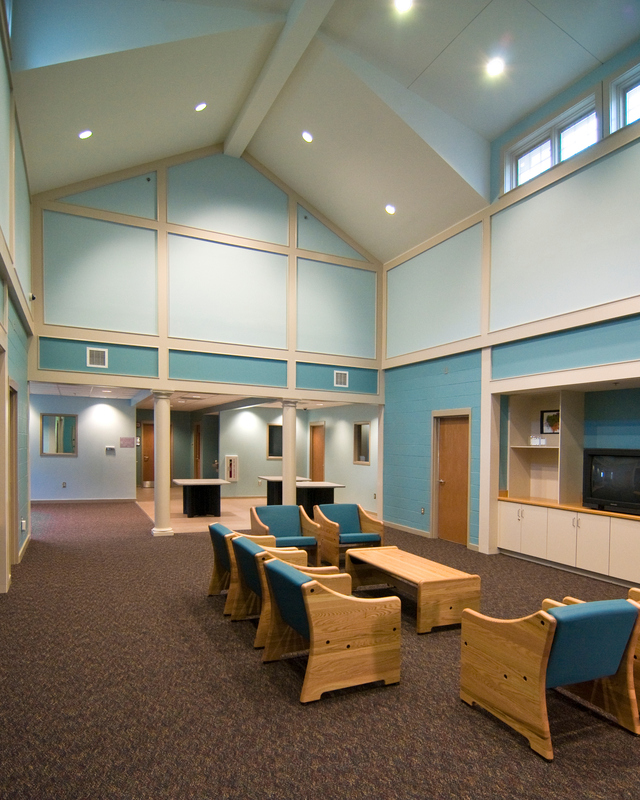 The building plan focuses on control of the children, their environment and their engagement with staff, counselors and one another. 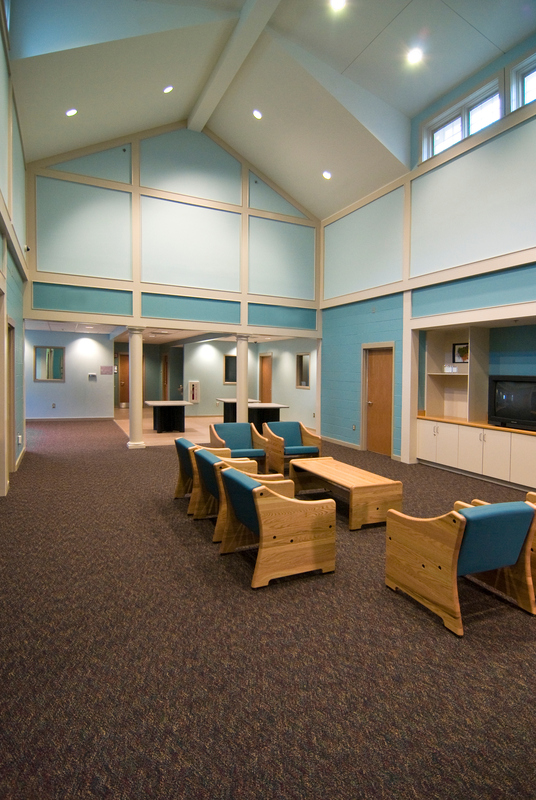 The light-filled central Commons room is surrounded by private bedrooms and baths, a common eating area and classroom. Outdoor play areas are immediately adjacent offering plenty of space for the children to burn off energy and get plenty of fresh-air and sunshine.